A story about love, strength and resilience, this is a novel about the power of stories to change the way we view the world – it’s about the power of a child to change their own world. Emotionally arresting but ultimately uplifting, this is a remarkable novel for our times. Piers Torday began his career in theatre and then television as a producer and writer. His bestselling first children’s book, The Last Wild, was shortlisted for the Waterstones Children’s Book Award and nominated for the CILIP Carnegie Medal. His second book, The Dark Wild, won the Guardian Children’s Fiction Prize. My nine-year old daughter refused to play on a New Zealand beach because all she wanted to do was read this book. While she was reading it, various adults in the house were reading it over her shoulder and snatched it up to read it themselves once she was finished. An addictive book, the kind that children lose themselves in. I think Piers Torday has one of the most remarkable voices writing today. I like the way his prose can almost turn to poetry without you hardly noticing and I think he deserves to win this prize. I have given this book to godchildren and friends’ children and they have all loved it, as well as all Piers Torday’s books. It fully deserves the recognition that this prize would bring the it and the author, as not much peels these kids away from technology but this book did. Highly recommended reading from an author whose work is already up there with the classics of children’s literature. I love Piers Torday’s books and so do my children, my nieces and nephews. Even my five-year old son insisted on me reading him the first book from the Wild Trilogy only last week – the only book that would do for the half-term holiday. I love the way he tackles serious topics with such gentleness and understanding of the child’s psyche, creating tension and wonderful characters as well as leaving you with an important message. It really deserves to win. I’m a grown-up, and I’ve read all Piers’ books so far. This one is wonderfully moving and surprising, genuinely inventive and unusual, and completely compelling. One of those rare books I’ve read twice, and will no doubt be reading again soon. A wonderful book that made me smile and grieve over the extraordinary courage of children- too often called upon today. I absolutely loved this book and read it in one sitting, just inhaled its goodness in one glorious day. The characters are so engaging and I was invested in the story right from the start. So many wonderful themes explored and no avoiding difficult concepts. Magnificent! Piers Torday is a living legend. A future classic! An incredible journey across a magical landscape and into the human heart. 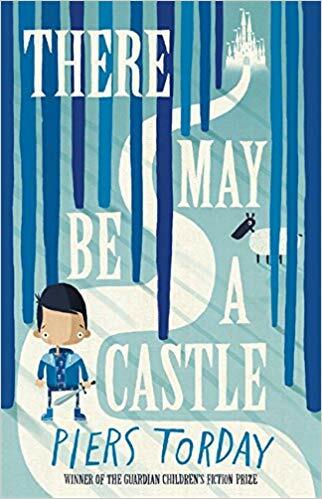 Like the very best children’s writers, Torday helps his young readers (and their parents) to contemplate the fearful things in life while taking them on a rip-roaring adventure. An unforgettable book from one of our most uniquely imaginative storytellers. I have been reading Piers’ books to my children for a while now and they have kept us absolutely captivated! An amazing author!